Origami is the art of folding paper into shapes resembling people or animals. 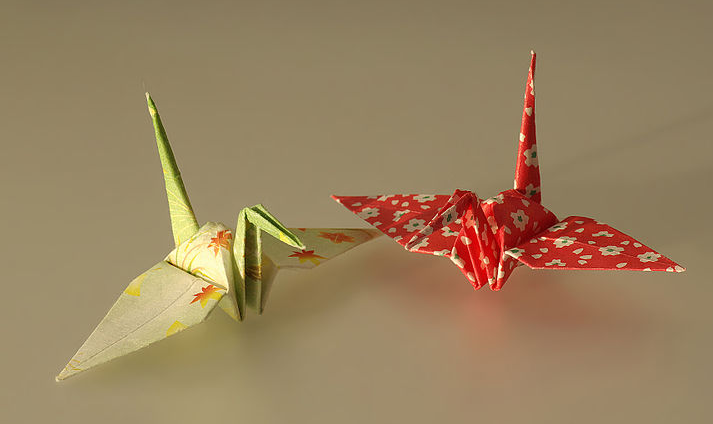 The crane is the most famous origami figure and it is rumored to have wish-granting power. To grant your wish, you must fold a thousand cranes in less than a year! If you are curious about learning how to fold a crane – there is no shortage of wonderful websites that give instruction. Here I posted something of my own invention, The Paper Pokian. I have written and am in the process of publishing a picture book for children. The main character is an imaginary sea creature called a Pokian. This Pokian’s name is Ruke. 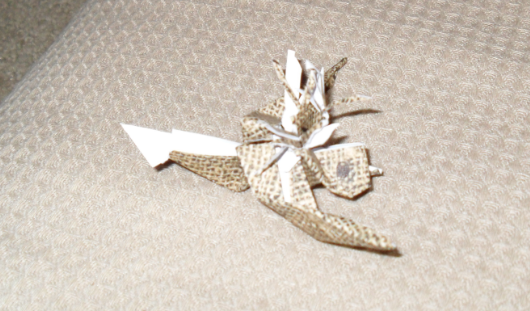 I have come up with some Ruke – related arts and crafts to promote the book, (To The World Above) One of these is a folded paper figure that looks like the book’s main character. I came up with it by experimenting with a crane base. Some may think this project is a little complex for children, but I have only recently discovered the joys of paper-folding and regret that no one introduced me to it earlier. I am an origami novice myself so I wanted to make this project as easy as possible. Many adults as well as children have trouble with this particular model, especially when making the mane of hair, so I wouldn’t recommend it for those who are very young or those people who are easily frustrated or discouraged. Waste paper is a great source of practice material. It is important not to take your project too seriously and just have fun. I wanted to post something that would pose a challenge to those children and adults who wanted a challenge. The paper pokian may take several tries. I will include a photo of what a finished model may look like, just to clarify things. 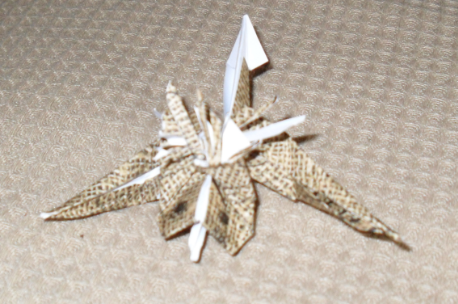 Photo courtesy of Wikipedia – (Thousand Paper Cranes) Paper Pokian photo is my own. comming convention today and I was hitting the coffie shops. trying to sell to schools in the comming year. I’m so excited. I do enjoy your ghost stories. its a great achievement and you absolutely deserve it! go girl! wish you every success for the book! Thanks I hope it goes well. Your welcome. Keep an eye out my childrin’s book. I will selling it on Amazon!